Thank you for checking FROCKREVIVAL.com! FROCK Shop has been a very instinctual endeavor. I love the thrill of the hunt, the fluttering high of envisioning fashion do’s imid piles of fashion dont’s. It is comforting to know at the end of the day I have a forum of stylish ladies to share in the delight of my finds. I often find myself talking about FROCK Shop using the plural “we”. The “we” of FROCK Shop is my husband Adam, our trusted store manager Lori, along with all of my loving and supportive friends, family, event host and sponsors. This is a grassroots effort to grow an idea, share it and enjoy the "process". Check out our Affiliates page where we will feature our past cross promotional partnerships. Without their faith, support and cheerleading we could not do it. 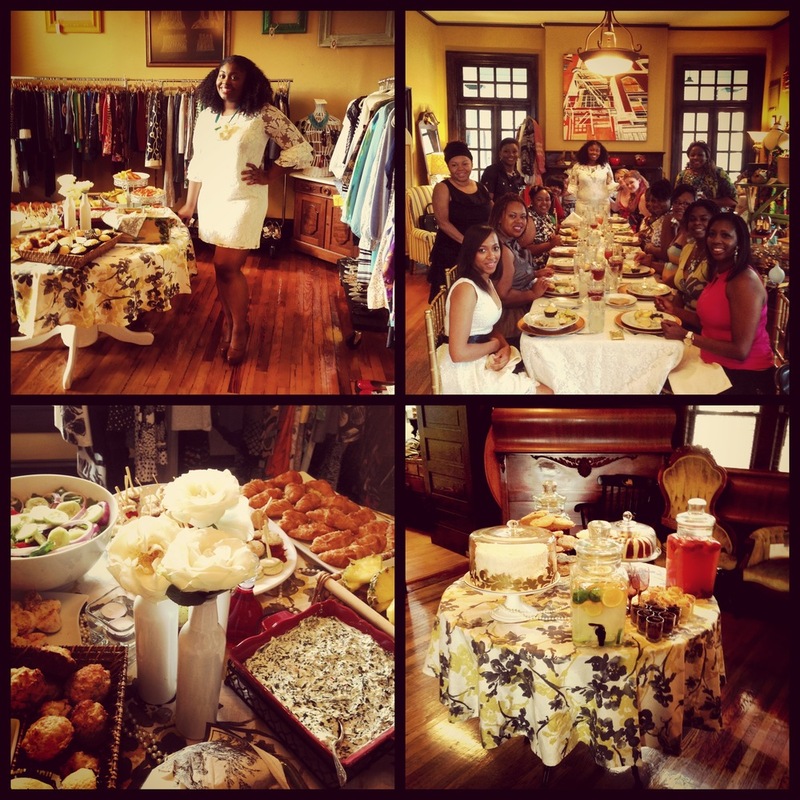 We started our TRUNK Show events in April of 2010 with an invite only launch at the loft of a friend. I feel very lucky to have a dynamic network of smart, stylish and savvy small business owners. Their honesty and support continues to be a motivating source of inspiration. In January 2013 all of our efforts in hauling and hoping paid off. We opened our shop in Charlotte, NC's Plaza Midwood community. We occupy the lower level of a thrilling historic home. Built in 1902, our shop used to be the residence of Charlotte's local music store owner, Charles C. Parker.